The Freight Transport Association (FTA) has welcomed the announcement that guidance for senior traffic commissioners across the UK is to be amended to reflect the changing role of the logistics sector in 21st century Britain. Having worked in partnership with the Traffic Commissioner's Office over recent months to advise on upcoming changes to national guidelines, the aim is to now ensure all traffic commissioners are focused on issues of compliance and managing new systems. Placing technology at the core of compliancy issues will be a chief aim of the body in the coming years, with upcoming workshops set to examine the benefits of new management systems within the legislatory framework. FTA head of licensing policy and compliance information James Firth said: "The current operator licensing legislation fits a model where a haulage company has a yard with some trucks in it, and an office with a person called a transport manager who has a filing cabinet. "But the further a logistics operation moves away from that model – and the more sophisticated it becomes – the less straightforward it is for that operator to prove their compliance with the law as it is written." 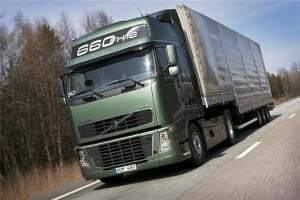 Focusing on increased collaboration between commissioners and individual members of the UK logistics sector will therefore be crucial in ensuring increased compliance in the years to come. This is therefore something that the FTA wholeheartedly hopes to see happen.